The First Christian Mission Church of Holabird was founded by Mrs. Geneva Davis, Mrs. Charlotte Lee, Mrs. Lucille Pryor, Mr. & Mrs. Horace Johnson, Mr. & Mrs. Ivory, Mr. & Mrs. J. B. Jones, Mr. & Mrs. Roosevelt McCloud, Mrs. Ophelia Pledger, and Mr. & Mrs. Chesley, a group of concerned neighbors who wanted a place to worship with their families. The church was organized Thursday, November 25, 1945 at 1700 Bob White Avenue under the leadership of the late Reverend George Crawley Sr. Reverend James L. Moore was selected to be our first pastor, but was unable to serve because of a commitment to Sharon Baptist Church. The first pastor to serve was the late Reverend John Perry. He served faithfully for two years. Our next pastor, Reverend Paul Smith, served us faithfully for one year. At this time, Brother Horace Johnson was selected superintendent of the Sunday School. The secretary was Mrs. Lucille Pryor and Brother Roosevelt McCloud was treasurer. The Senior Choir, Usher Board, and Junior Choir were also organized at this time. Our organist for many years was Mrs. Trull. Reverend Ernest Humphrey came to us in the year 1950 and was a faithful pastor until his retirement in 2009. Under his brilliant leadership, our church began to grow. The first deacons of our church were ordained by him. The first chairman of Deacon Board was Deacon Roosevelt McCloud. We worshipped in the community center for many years. In 1954, we were told that we had to move because of war-time projects, the community center would be demolished. We started looking for a place to move. We located a house at 3014 Belmont Avenue. As soon as we started tearing out the partitions and making things ready, we found we could not serve there, so we started looking again for a place to worship. By the grace of God, our pastor and officers found a church building at 1512 Winchester Street. We marched in Sunday, May 1954. 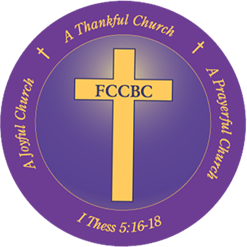 After being there for two years, the church was incorporated and called the First Christian Community Baptist Church. In the beginning, many of our auxiliaries were organized by Sis. Deotha Humphrey, the pastor’s wife, who served as president until they were on their way. Some of the auxiliaries are: the Missionary Society, Flower Circle, Education Department, and the Pastor’s Aide. Deacon Floyd Reid, who united with us in July 1957 was made Chairman of the Deacon Board and the Building Fund. Because of the growth of our church, we felt we needed a larger building. In July 1965, we began to look about the City of Baltimore trying to find property for a new church home. In June 1968 we found a lot on the corner of Eldorado and Groveland Avenue. Later, in 1972, the house was torn down and we decided to build a church. After many trials and tribulations, we were able to secure a building permit and a loan. On Sunday, May 11, 1975, we were able to march into our new church. Through the grace of God, in 1980, we were able to burn the mortgage. As we strive toward the future, Our new pastor, Reverend Alphonso Tucker, a son of the church, has taken the helm and continues to build on the religious foundation and our church continues to grow. Praises be to GOD!!!! Powered by WordPress. Theme by Ashley.